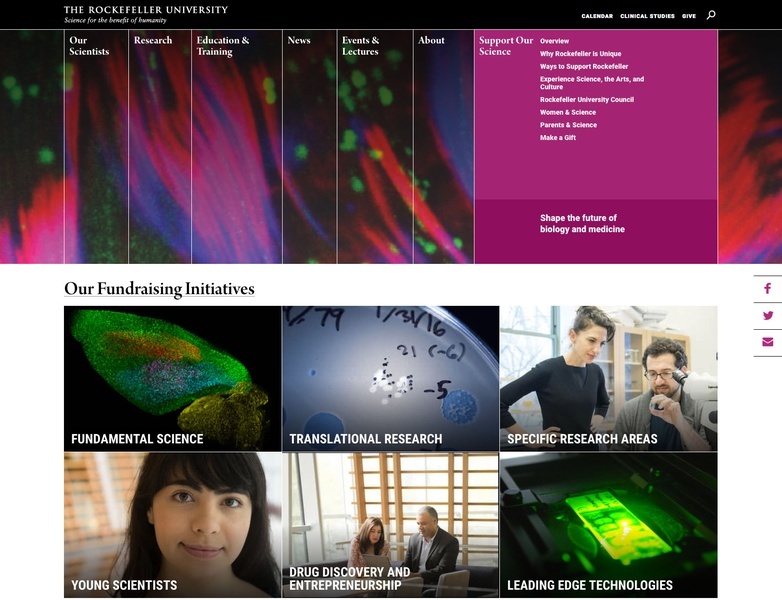 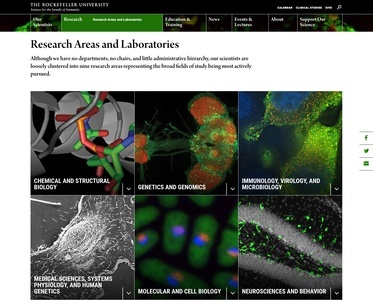 The world’s leading biomedical research university, Rockefeller draws top scientists and graduate students from around the world in pursuit of one mission: to conduct science for the benefit of humanity.C&G Partners was tasked with a website redesign that would highlight the complex qualities of this remarkable institution. To capture Rockefeller's innovation in bioscience, the website featured abstracted scientific imagery, from actual University research. This was juxtaposed with engaging hands-on portraits to tell the story of individual students and faculty that is at the heart of the University.A new content management system and a responsive front-end framework were included in this assignment that is one of the many projects C&G has undertaken for the world-class scientific oasis in the heart of New York.